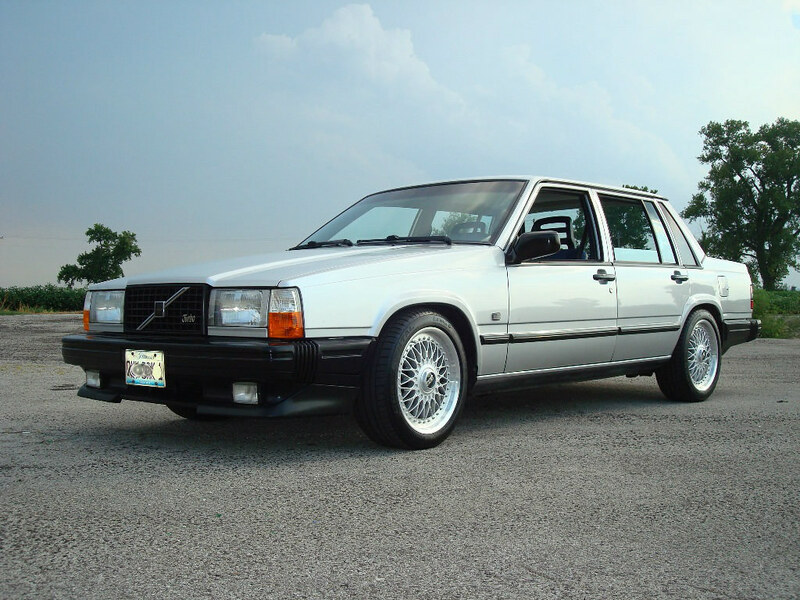 As the title states I'm in search of a mechanic well versed in classic Volvos ('91 745T specifically) in the general vicinity of Asheville, NC. I've scoured the Google machine with zero success. Any attempt to establish a relationship with a European/Volvo centric mechanic has been met with disinterest or avoidance. I'm aware that these cars are relatively simple in comparison to any modern vehicle, I've found a trustworthy mechanic for general repair. He too is not interested in the task at hand. I'm specifically looking to have a complete suspension overhaul performed, including all bushings. I have all required parts on hand. In the past this is something I'd have tackled myself, unfortunately life circumstances dictate that I simply do not have the time. If anyone could point me in that general direction I would be grateful. Thanks. It's so "easy". But the potential reason they're shying away from it is because there's a Volvo specific press you need to do the rear (wait... nvm, not sure the 7 series is the same as the 2 series). Have you inquired with the dealer? I'm volunteering Jared Gant to help you out. I haven't inquired with the dealer. Trying to avoid spending more on the suspension install than I paid for the car. There's an independent Volvo shop about an hour away (Simpsonville, SC) that I left a message with, didn't receive a call back but perhaps I'll try again. Tell me more about this Jared fellow? I have United States Domestic currency I'll gladly exchange for his services. propav8r on here. He's in Franklin I think. There used to be an exception SAAB guy in Black Mtn., just "down the hill" on I-40. He certainly will know the savvy OVLOV wrenches in Asheville. Considering the college town folk there, I'd say the chances are good there is a Swedish wrench handy. Jared also could likely steer you. I recognize Jared's screen name, perhaps I'll reach out to him. Thanks for that lead on the Saab guy in Black Mountain. I'll try to track him down, perhaps he can provide some insight. You would think in a town like Asheville there'd be an abundant source of Swedish savvy wrenches. The vintage Volvo ratio is strong in these parts. The vintage Volvo ratio is strong in these parts. Doing their part to "Keep Asheville Weird". Indeed, one of the reasons I'm fond of this place. Perhaps all the Volvo mechanics closed up shop because they were tired of getting paid with patchouli oil and weed. Nonetheless I made contact with Euro-Car Specialist Inc located in Greenville. Chatted for a while with the service Manager. Seemed enthusiastic and willing to work on old Volvos. Waiting on a rough labor estimate, if it seems within the realm of reason I'll give them a try. Larry's Performance Werks. Outstanding. Have used them on a road trip. Unfortunately Larry falls into the "disinterested" category. I've stopped in there on a couple occasions and he politely expressed his lack of interest in working on vintage Volvos (specifically mine). I was disappointed because I've heard good things. Alas, I've come to yet another deadend. Garage in Greenville, SC will not install ANY parts furnished by the customer. I understand their position but it's slightly frustrating when the parts in question are from reputable manufacturers and I've provided an itemized list to them. If there are any local guys out there that would like to make some money on installing my suspension please feel free to contact me. Doesn't have to be all bushings etc. But at the very least I'd like to install my struts, springs, panhard rod bushings and control arm stay bushings (2-piece conical IPD poly) because I have a nasty shimmy at 45-55 mph. Plea over. Come to Columbia SC. I have over 20 years with VCNA and now my own shop. I’ll be more than willing to do what you need. Royal Automotive Techs. Thank you for the info. I found an upstanding member of the local Volvo community to help me out. I'll certainly keep you in mind for the future.